Are Ali and Taite still together? This theory suggests they are not. 1. Inside the theory that Ali Oetjen and Taite Radley are ‘faking’ their relationship. We have a colossal Bachie theory on our hands, people, and we don’t know how we feel about it. You see, ever since Ali Oetjen and Taite Radley were released by Osher from their Channel 10 prison and finally allowed to flaunt their romance in public, they’ve literally not been able to take their hands off each other. It’s cute, but also a lil’ too much. BUT, according to Woman’s Day, some fans have suggested it’s all a lie. They think the pair’s over-the-top make-out sessions are simply for the cameras; a publicity stunt for the sake of the franchise, which experienced some of the poorest ratings in the history of the show during Ali’s season. This was only fuelled further by claims the couple were recently “spotted” casually looking at engagement rings. The fact that they were both wearing t-shirts which said “we’re getting engaged”, and that Osher pushed them into the jewellery store with force didn’t help, either. (Yeah, we made that part up). 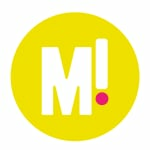 Woman’s Day even roped in a body language expert to legitimise the theory. She, too, believes their relationship does not appear genuine. Speaking to the publication, relationship expert Holly Bartter pointed out Taite looks “uncomfortable”. “Taite definitely appears a little more camera-shy and aware of being affectionate in public, looking up when Ali looks up at him and gazing into his eyes,” she said. That’s all very interesting, but what we really want to know is why Taite was holding his foot in the Instagram photo above. Body language experts out there, please, tell us what it means? 2. Ariana Grande’s perfect response to a troll who accused her of ‘milking’ Mac Miller’s death. Ariana Grande has responded to a Twitter troll who left a startling comment on one of her photos over the weekend, and she’s handled it like a champion. The Twitter user accused Ariana of “milking” her ex-boyfriend Mac Miller’s death after she shared a throwback Thanksgiving photo of herself and the rapper, who died from an overdose in September. “I pray you never have to deal with anything like this ever and I’m sending you peace and love,” the 25-year-old singer gently replied to the original comment, which read: “She milkin this sh*t bruh”. In the words of the singer herself: thank u, next. 3. 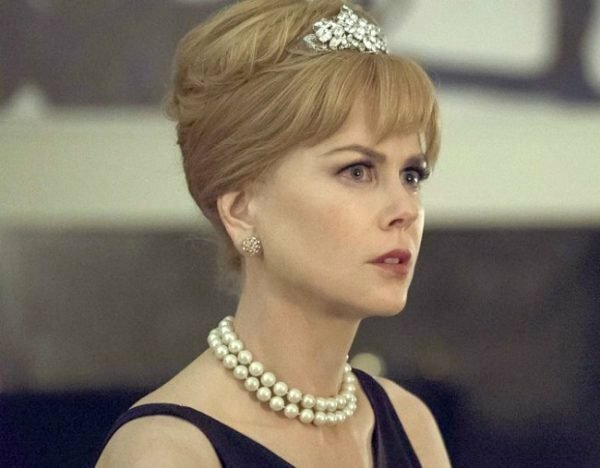 Nicole Kidman doesn’t think Big Little Lies Season 3 is likely to happen. Nicole Kidman in Big Little Lies. Source: Foxtel. We&apos;ve got bad news for fans of Big Little Lies. Although we&apos;ve been blessed with a second season coming to our screens next year, according to Nicole Kidman, we probably won&apos;t be getting a third season. "I think it would simply be hard to get the whole group together," Kidman told Variety when asked about a potential third season. "But we would love to do it," she added. The 51-year-old actress, who starred alongside Reese Witherspoon and Shailene Woodley in the first season of the HBO drama, also shared how Meryl Streep became involved in season two of the show. Before even reading a script, Streep joined the show over email. "She goes, &apos;I suppose now I have to join you.&apos; And we were like, &apos;What?&apos; That&apos;s how much she wanted to support us," Kidman explained. 4. Khloe Kardashian has been forced to defend Kendall for heckling Tristan Thompson. In completely surprising information, there is currently drama going down on the Kardashian/Jenner social media front and nope, we&apos;ve never typed that sentence before. Anyway... Kendall Jenner was caught booing her sister Khloe Kardashian&apos;s partner during a basketball match, and you can bet people noticed. Now to be fair, Tristan was competing against Kendall&apos;s boyfriend - the Philadelphia 76ers&apos; Ben Simmons - but even Khloe responded to her sister&apos;s subtle heckling behaviour with a well-meaning tweet. Alas, not everyone could see the humour in the moment, with one fan accusing Khloe of supporting Tristan, when their relationship clearly isn&apos;t as rosy on their family reality TV show, Keeping Up With the Kardashians. Never mind that the footage was filmed seven months ago, just as Khloe was about to give birth during the height of the Tristan cheating scandal. Either way, it seems like the sisters have dealt with the drama all by themselves, whether we&apos;re privy to it, or not. 5. Errrr... are Keira and Jarrod back together? An investigation. Hi friends, we need to talk. As you&apos;ll be well aware of, former Bachelor in Paradise couple Keira Maguire and Jarrod Woodgate broke up in August. Pointed Instagram posts and comments were thrown around like confetti at a wedding but it seems like their breakup has taken a bit of a turn. You see, the former couple went out for brunch on Sunday and you can bet Keira documented it all on her Instagram Stories. And before you give us the "but exes who split amicably catch up for coffee all the time," we have one detail to add. They drove to the cafe – Fourth Chapter, in the Melbourne suburb of Prahran – together. For that to happen Jarrod, who was driving, needed to have picked Keira up from somewhere OR did they arrive together because they spent Saturday night together as well? And that’s not typical “we’re-trying-to-be-friends-but-it’s-still-a-bit-awkward” ex catch-up behaviour. To support our budding theory, we&apos;ve already analysed the situation in minute detail in our earlier post here and yes you are very welcome.